The Cultural and Education Section of the British Embassy in Moscow and Strelka Institute for Architecture, Media and Design announce the results of an open call for emerging Russian architects and urbanists to apply for a grant to go to the UK on a study trip from 22 to 28 October 2018. This professional development opportunity will be focused on new practical approaches to public spaces. Architects, practicing urbanists, creative consultants involved in city planning, government officials interested in forward-thinking approaches to development of public spaces were invited for apply. We are looking for people shaping the future of cityscapes who are deeply interested in their professional development, want to contribute to the development of public spaces in Russia and are open to new ideas and approaches to urban architecture. 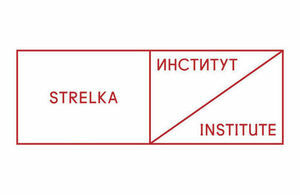 The British Embassy and Strelka will cover the cost of visas, flights, accommodation and transfers in the UK, as well as arrange a business, educational and entertainment programme. Successful applicants will be expected to cover the cost of meals and local public transport independently. This grant scheme is designed and delivered as part of the Future Culture programme.